Looking for an Energetic automotive sale professional. This is an extraordinary opportunity to join an organization with very loyal customers and staff. We are looking for a team oriented individuals who wants a career, not a job. While Previous sales / automotive sales experience is a plus,we are open to train the right individual. Some of our most successful candidates have come from other industries, such as: restaurant/hotel, education and insurance industries. We offer the ability to sell New and Pre-Owned vehicles on our open sales floor in a relaxed environment. Chrysler Certified Automotive Technicians to join our team. Chrysler Certified Technicians are tasked with repairing the most challenging and time-sensitive problems that vehicles have when they arrive at the service department. Conferring with service advisors to obtain descriptions of vehicle problems, and to discuss work to be performed and future repair requirements. Testing and adjusting repaired systems to meet manufacturers’ performance specifications. Performing quality inspections of vehicle repairs prior to returning the vehicle to the customer. Diagnosing, maintaining, and repairing vehicle automotive systems including engine, transmission, electrical, steering, suspension, braking, air conditioning, etc. Communicating directly with the service advisor so that customers can be informed if any additional service is needed. Providing an estimate of time needed for additional repairs. Test-driving vehicles, and testing components and systems, using equipment such as infrared engine analyzers, compression gauges and computerized diagnostic devices. Executing repairs under warranty to manufacturer specifications. Must have at least 2 Chrysler certifications. 5 years of experience as an automotive technician preferred. National Institute of Automotive Service Excellence (ASE) certification preferred. 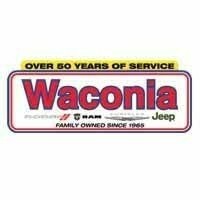 Waconia Dodge Chrysler Jeep Ram is looking for a full time Chrysler Certified Automotive Technicians to join our team. Chrysler Certified Technicians are tasked with repairing the most challenging and time-sensitive problems that vehicles have when they arrive at the service department. Conferring with service advisors to obtain descriptions of vehicle problems, discuss work to be performed and future repair requirements. Testing and adjusting repaired systems to meet manufacturer’s performance specifications. Perform quality inspections of vehicle repairs prior to returning the vehicle to the customer. Communicate directly with the service advisor, so that customers can be informed if any additional services are needed. Providing an estimate of time needed for additional repairs. Test-drive vehicles, testing components and systems, using equipment such as infrared engine analyzers, compression gauges and computerized diagnostic devices. This is a full-time position with a competitive benefits package.